By Edith Pearlman. Little, Brown and Company; $25. Edith Pearlman’s delicate stories balance on the head of a pin, composed of just enough action, just enough interiority, just enough description. I would like her to be known as the Goldilocks of short narratives: When she combines these neatly constrained features into a single tale, the result is a shining snow globe, an admirably forged crystalline structure we can peer into and gawk at. 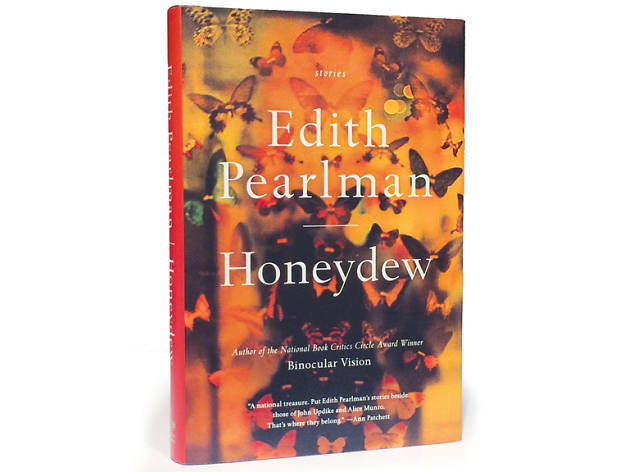 In her first collection since the award-winning 2011 Binocular Vision—the book that, after decades of stellar writing, brought the 78-year-old to the public’s attention—Pearlman once again gives us rather ordinary people and the simple, yet beguiling, details that constitute their lives. Generally, her characters are well-off and clever. They take cruises and are knowledgeable about antiques and ancient poetry. Many of her stories return to Godolphin, Massachusetts, a Boston suburb and probable stand-in for her own Brookline. I cannot imagine a more humdrum-seeming place, yet within the minutiae, Pearlman creates something extraordinary. She slices into the facade of the everyday, into her characters’ bellies, and simple sentences slip by to reveal the fissures and foibles that are essential to humanity. In “Stone,” a past-her-prime New Yorker who temporarily transplants herself to her nephew’s remote stone house considers a way to bring music into her relatives’ lives: “She could will her own Steinway to them and then fling herself onto the Falls, but she’d just smash her kneecaps on the rocks.” Pearlman’s characters are nothing if not practical, but such quiet, often romantic, revelations give her stories the sharpness they need to be believed. At her best, Pearlman invigorates our curiosity about others, encouraging us to flip page after page just to see what a character ate for lunch. At her worst (which is still quite good), her stories feel a little too comfortable, and I wonder how much more she could do if she experimented. But that is a minor blemish within the greater consideration of the author’s enviable talent. 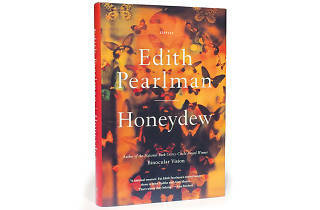 Because whether recounting a torrid midcentury love affair (in “Her Cousin Jamie”) or an anorexic teen’s obsession with insects (in the brilliant “Honeydew”), Pearlman’s stories encourage us to sink deeply into them, and we become contented ghosts snooping on these unadorned, authentic lives. THE BOTTOM LINE: Pearlman may not be innovating the short-story form, but she’s executing it perfectly.